I took a break from writing my next pattern a few weeks ago, to make my soon to be sister-in-law (I can't believe my baby bro is going to be getting married in the near future - mind blown! ), a 30th birthday present. 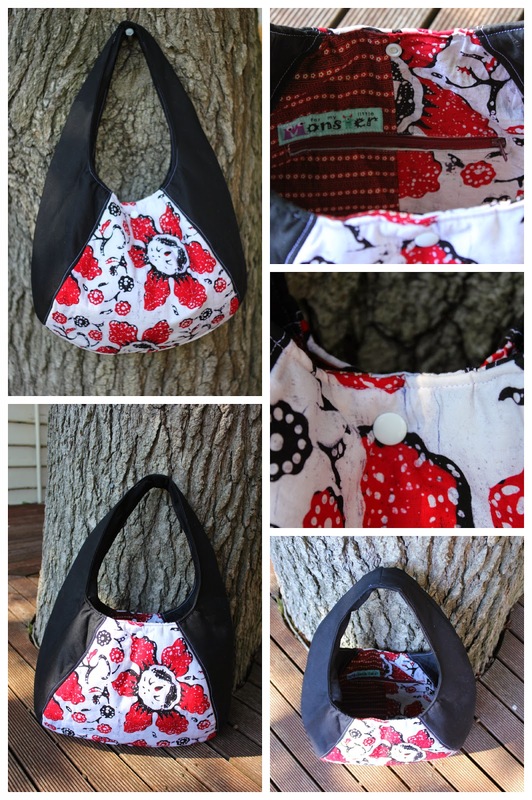 I had been wanting to make a Laney (pattern by Swoon) for a while, and the style of this bag seemed like something the birthday girl would like. The Laney is a FREE pattern that Alicia (the lady behind the patterns at Swoon) wrote for Pellon Projects. The Laney is supposed to have "ties" that are used as a device for closure, the version I made actually has a white snap as the closure device. The Laney is not supposed to have any zippered pockets...however, I like zippered pockets, (they are useful! ), so I have included an internal one. I also used H640 instead of the recommended interfacings in the pattern I did this because that is what I had at home...I am very happy with this change, as the bag can hold its own shape now - and it makes it look more substantial while not adding any extra weight. the deepness of my heart and it made me sentimental. Thanks for posting. Visit my site too.